It's not that it was some big deal, it just made me stop and think. and we think the present will last forever... but suddenly today is yesterday. 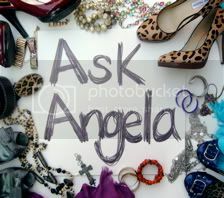 It was just one of those small events that grabs you, shakes you, and wakes you up to the reality of now. 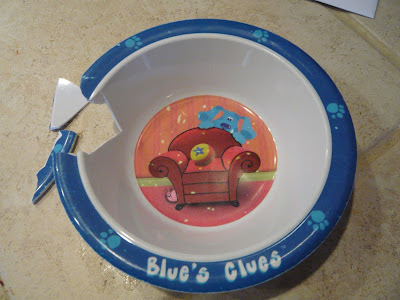 Because I came in the kitchen the other day, and found the Blues Clues bowl broken. Someone had dropped it on the floor, nothing dramatic. No tears. No one was in trouble. But, it affected this mother's heart in a different way. It wasn't just a broken bowl, it was the reality that we no longer have toddlers in this family. and that Blues Clues has long since passed in this household. Memories of all the years pouring milk and cereal... mac-n-cheese... spaghetti... dry cheerios. Everyone's pretty self-sufficient now, which seemed to happen without me fully noticing. There's a part of me that will miss the Blues Clues bowl. It was from back in the Steve days. And just like he moved on, so do children. They become bigger children, and then pre-teens, and then teenagers. ...to me it was the end of a season in my life.